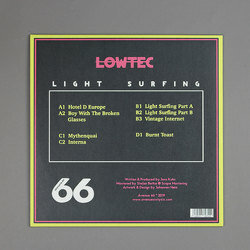 Lowtec - Light Surfing. Vinyl LP. Bleep. 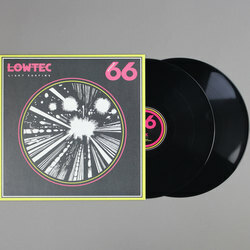 Lowtec drops his first LP in absolutely ages via Avenue 66 (Trux, Joey Anderson). Light Surfing is another collection of unusual deep/micro-house jams from the Workshop/Out To Lunch boss that frequently cross over into the worlds of downtempo and ambient. 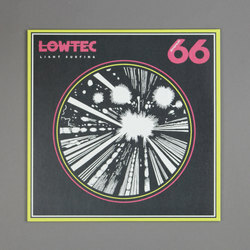 Tracks like ‘Mythenquai’ and ‘Hotel D Europe’, which are pitched somewhere between Motor City Drum Ensemble and Jan Jelinek, are made all the more notable for the breathing space provided by Light Surfing’s slower numbers.